Divorce Mediation and Collaboration: helps marital partners transition to separate lives with safety, dignity, and fairness. Probate: When life ends, Lancaster Law Office helps families wind up their loved one’s affairs. Strong emotions following a family death can fray family peace and cohesion. Death creates difficulties and legal obligations that can seem overwhelming. Brad helps personal representatives (executors) to "probate" (that is, wind up) their loved one's estate. We employ collaborative principles in probate disputes. Disagreements frequently emerge between siblings upon the death of the last surviving parent. By mediating conversations, Brad helps families preserve their relationships while resolving their disputes. Brad generally declines to litigate probate issues. In rare cases, when a client has no appropriate relative or friend, Brad serves as personal representative for clients. Brad Lancaster received his Juris Doctor from the University of Washington School of Law. Brad worked for the King County Prosecuting Attorney during law school. Brad practices in probate, elder law, Wills and trusts, and family law. Brad emphasizes non-litigated solutions to human conflict. Kim Lancaster received her paralegal degree from Edmonds Community College. She worked for a personal injury law firm, then as a Family Law Facilitator for King County Superior Court. Kim was among the first cohort of limited license legal technicians, and mediates for divorcing couples. 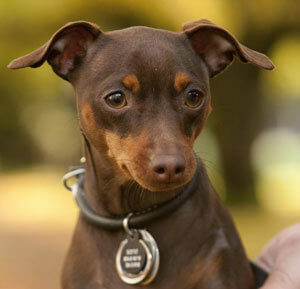 Sofie is our office dog and constant companion. You can find more information at About Brad and Kim. Elder Care Issues: Lancaster Law Office offers elder care counsel that is sensitive to family dynamics. All families are systems; any challenge affects all members of the family system. Brad counsels attorneys-in-fact in fulfilling fiduciary duties to the failing loved one and family. Memory loss, health decline, dementia, depression, and financial fears may require supportive expert counsel. Grief stresses families. We support families as death approaches. In rare cases, when a client has no appropriate relative or friend, Brad serves as attorney-in-fact for clients. Wills and Trusts: Lancaster Law Office helps families make arrangements for estate and end of life matters(Wills, trusts, gift lists, durable powers of attorney, directives to physicians, sometimes called living wills, and funeral instructions). Advance planning reduces uncertainties surrounding death. 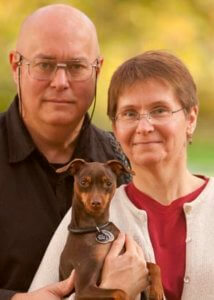 Lancaster Law Office helps families face end of life issues with equanimity and confidence. Brad provides solid legal and financial information about end of life matters. Divorce with Dignity: Lancaster Law Office helps partners divorce with dignity. Divorce creates two separate lives from one shared life. Divorce can be transition or war; you and your partner choose. If you need to divorce, we encourage partners to choose an alternative to divorce court that expresses respect, preserves relationships, protects children, often costs less, maximizes privacy, and ends sooner than divorce litigation. Many couples employ facilitative mediation in divorcing. Others choose collaborative divorce. Mediation: Lancaster Law Office helps partners or disputants meet together to negotiate fairly and respectfully. For partners or disputants with relatively low levels of conflict, Lancaster Law Office provides facilitative mediation. Parties sit face-to-face to negotiate their future; Brad helps them through the sticky parts, and drafts pleadings and agreements consistent with their ultimate settlement. Mediating couples or disputants can employ collaborative professionals to assist them as they perceive need for such assistance. For a lower-cost approach, Kim Lancaster, Legal Technician, offers divorcing partners, who wish to avoid litigation, facilitative mediation and document drafting services. She works only with partners who agree to resolve their differences peacefully and respectfully by direct negotiation in mediation sessions. Collaborative Divorce Process: Lancaster Law Office helps partners with moderate levels of conflict to engage an out-of-court collaborative divorce process. Growing numbers of people use collaboration to negotiate issues in divorce or civil conflicts. Collaboration minimizes emotional damage in marital transitions and safeguards your children. Lancaster Law Office, with a collaborative team, helps you resolve your parenting disputes and asset issues respectfully. You can divorce with dignity. Unbundled Divorce Services: Lancaster Law Office offers limited-scope legal services to person of limited means or substantial legal skill. Unbundled services are legal services offered a la carte. The client selects services he or she desires, without Brad's ongoing professional involvement. For example, you might choose to have Brad draft pleadings that reflect your agreement with your spouse, or have a single conversation to review pleadings you have drafted, or discuss your case to get an overview and strategic understanding of your situation. Unbundled services let you craft the help you need at a price you can afford. 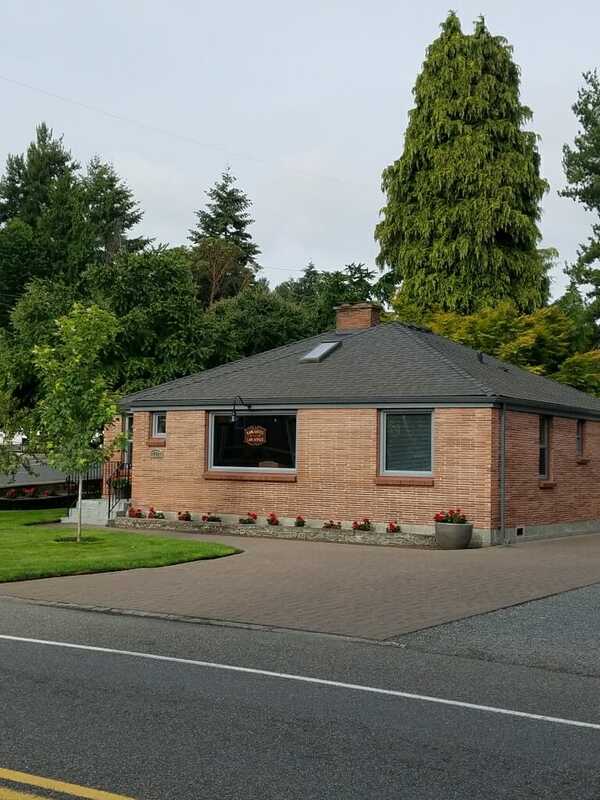 Lancaster Law Office, at the NW corner of NE 175th and 10th NE in Shoreline. Drive east from I-5 Exit 176 to the second stop light. We are on your left. Click here for more driving instructions and a map. Brad Lancaster works in the greater Seattle area in divorce mediation and collaborative family law helping people settle separation without rancor, in probate helping executors administer the estates of decedents, and in elder law helping people address the decline of loved ones as they age with elder care teams and elder law advice. Brad works primarily in King County and Snohomish County, including the cities of Seattle, Shoreline, Lake Forest Park, Edmonds, Woodway, Lynnwood, Mountlake Terrace, Alderwood, Brier, Kenmore, Woodinville, Mukilteo, Mill Creek, and Everett. Brad emphasizes collaborative, out-of-court solutions to human conflict. 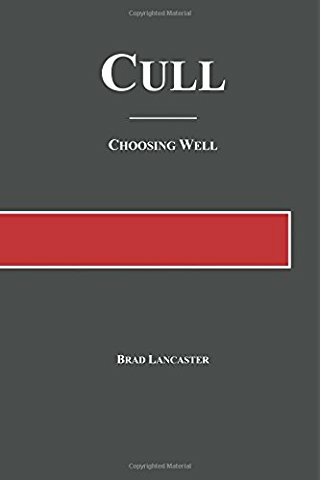 In this careful book, Brad Lancaster gathers ideas about human meaning to frame “kithdom,” a political theory that encourages meaningful life together in interwoven circles of friends. 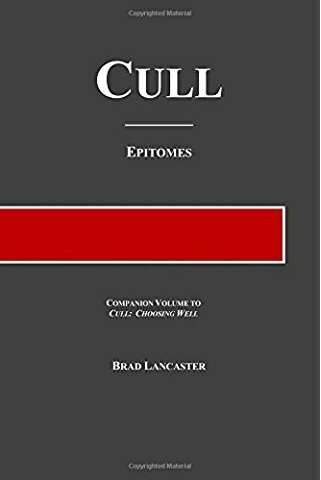 Cull: Epitomes offers its reader, in a single volume, the essence of seventy-seven core philosophical and religious works. Knowledge of these works is essential to a nuanced comprehension of matters ethical and moral. What did Jesus teach? 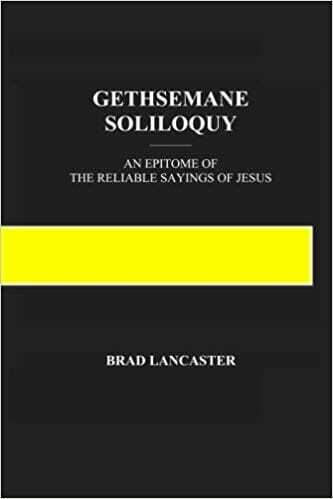 Gethsemane Soliloquy: An Epitome of the Reliable Sayings of Jesus, sorts the sayings of Jesus for those on which one might, after reflection, rely. The book then summarizes the lessons of the Galilean in an imaginary session in the Garden of Gethsemane, critical teaching delivered to sleeping disciples. NOTICE: The information provided in this website is informational and educational only. Nothing herein constitutes legal advice. The information in this website may be dated or otherwise inaccurate. You are welcome to use the material contained on this website for personal, educational, and non-commerical purposes, provided you attribute the material to Brad Lancaster and include a reference to this website: lancasterlawoffice.com. This website is a copyrighted creative production of Brad Lancaster, to which all rights are reserved.